We are proud to announce the most stunning economical line of kitchen and bath cabinets in the industry. 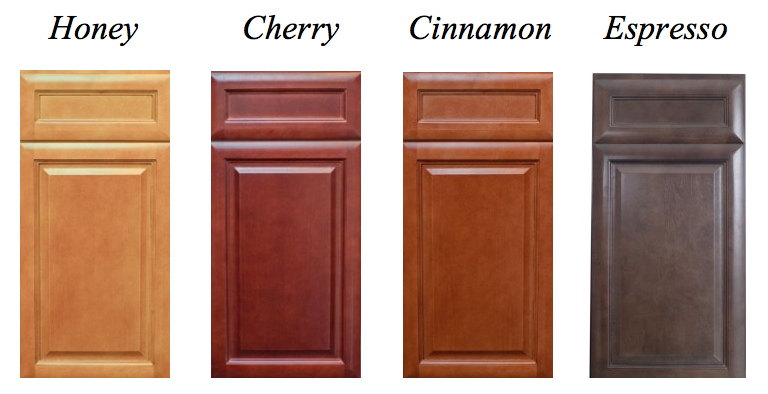 Why purchase oak if you can have a rich stained maple, cherry, cinnamon, & espresso cabinet with or without a glaze finish & UV filter urethane finishes. These are not those cheap imports you are used to seeing. They are also not the particle board cabinets sold by box stores and many cabinet makers.